Corey began his career as a Loan Officer with James B. Nutter & Company in April of 1998. 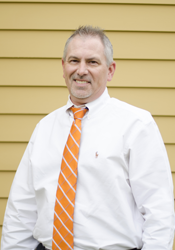 He started with our FHA Streamline Loan department, but moved on to fully qualifying FHA, VA and Conventional Loans. He has 15 years of experience with all kinds of refinancing, including cash-out and debt consolidation loans, and also Reverse Mortgages. He also enjoys coaching baseball and basketball.